A family of pastry cooks, called Blanchard, ran a number of eel pie shops in London and environs in the 1800s, including Whitechapel, Southwark and Walworth. 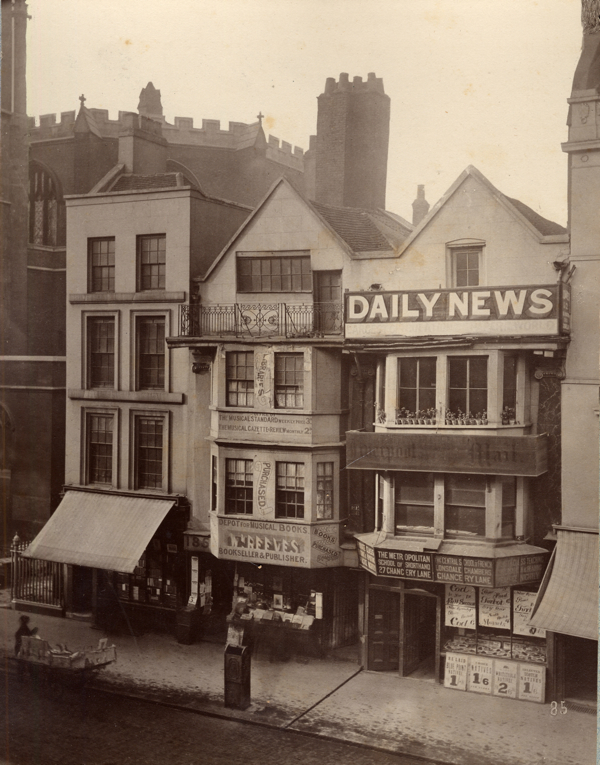 Between, at least, 1865 and 1885 they had premises at 184 Fleet Street. The right-hand building of the three shown in the photo is number 184 and is identified in an illustration of 1820 by James Findlay as ‘Raymond’s celebrated eel pie shop’. There is another drawing by Fred.Shepherd dated 1835. The buildings are still there by Fetter Lane, adjacent to St.Dunstan in the West. Although the frontages are replacements the footprints are much older, probably medieval. In fiction, 186 Fleet Street was the address of Sweeney Todd’s eel-pie shop.